Justin Wilmot, today’s guest, loves to surf so he created a business that allows him to surf all day every day. The vehicle he uses is real estate but it’s much more than that. Justin has been able to build an ideal lifestyle around the things that make him happy. 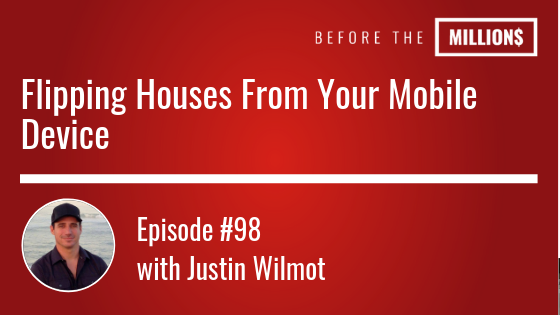 On today’s episode, we walk through Justin’s entrepreneurial journey and uncover exactly what it takes to get a deal done without every stepping foot in the state that the property is located. For those of you looking for freedom through real estate and you’re done being frustrated with trial and error, not actually gaining any real traction, I have your solution. I noticed that tons of people would love to jump into real estate investing but most don’t quite understand how exactly they should build their business to guarantee success. I am currently hosting a live webinar to to show you the exact step by step process that I used to build my portfolio. The same exact process my clients use to escape the rat race. The same exact process today’s guest, Justin, followed to surf all day long anytime he wants. This will be a live webinar with a ton of value so you won’t want to be late. Register for the webinar here and I’ll show you how you can escape the rat race in 2 years or less. Spots will fill fast —–> Register here. 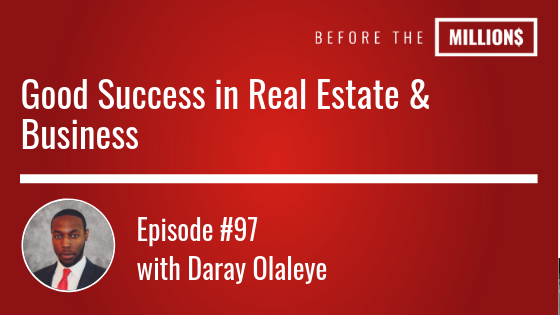 On today’s bonus episode, Daray Olaleye is being interviewed on the Good Success Podcast. Daray talks about what sparked his initial interest in real estate and how his discontentment at his 9-5 job pushed him to find alternative options to achieve true financial freedom. You’ll learn about the power of perseverance and getting started where you are. Daray will explain house hacking in a way a caveman can do it! Yes, you can get paid to live for free…. And with little to no money down. Lastly, Daray talks about how he leveraged the power of coaching and mentorship to fast track his success in business and life and how he’s now helping others do the exact same thing. Andre is a nationally acclaimed entrepreneur and philanthropist. Judy Lichtenberger quit her full time job in record timing. They both control their time, schedule and paycheck..
What else do both of today’s guest have in common? On today’s episode, we’ve stumbled upon a niche in real estate that help you make some extra cash on the side. It takes practically no start-up cost (less than $500) and a few weeks max to be up and running. As a mortgage banker with an eye on millennial demographic and a reputation as a media liaison, Ralph is redefining the role of the banker in today’s buyer centric real estate market. There is a new world real estate game and if you’re not branding yourself in the 21st century no matter your age or background, Ralph believes that you are missing out on so much opportunity. 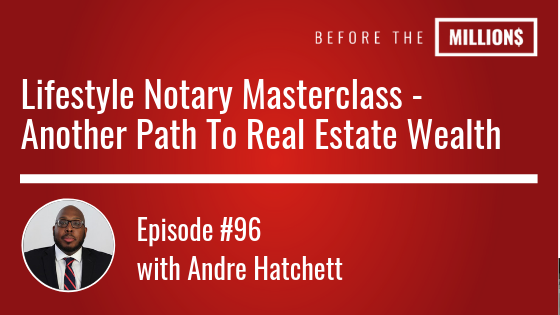 On today’s show we discuss exactly what it means be become a niche brand as a real estate investor, professional or entrepreneur. In today’s world, its becoming more and more imperative to carry an online/social media presence to grow and expand your business. 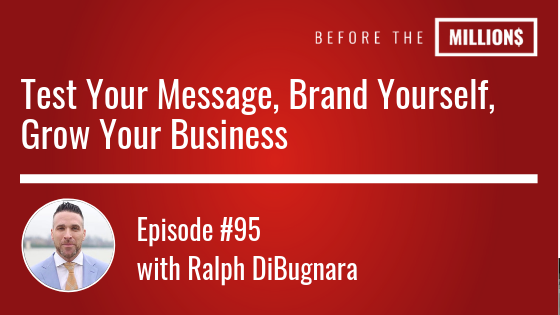 If you haven’t yet thought about social media as a source for business, this episode is for you. Today we have on the show a millenial by the name of Josh Culler. Josh is a multifaceted entrepreneur with his hands in a few projects such as a media company and the owner of a non-profit charity called Hope & Strength Project. We brought Josh on the show for his expertise with well run masterminds. 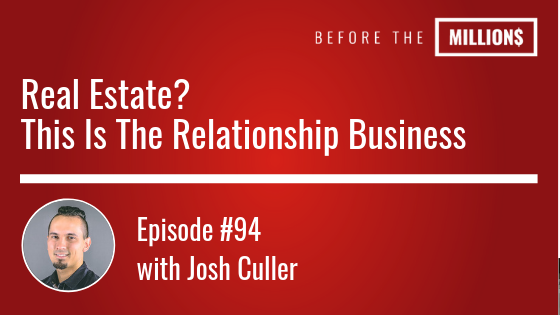 Although Josh is 25 years old, he has a ton of wisdom to share on the show. Our discussion today centered around relationships and the importance of making a conscious effort to find the right relationship circle for your goals. As entrepreneurs and real estate investors, it’s easy to get off course but there have been a few hacks along the way of the successful the ensure they reach “good success” status.